Most people love to throw a bath bomb in the tub and soak their worries away. There are numerous types on the market which fizz, soften skin and leave you smelling awesome, but most of these also contain harsh dyes, artificial ingredients, and tons of toxins. Luckily, they’re quite easy and fun to make. Plus, you get to customize your bath melts for an extra soothing and healing bathing experience. In today’s world, it’s incredibly important to be an informed consumer. Some product labels are not only greatly misleading they contain outright lies. If you look to consumer headlines and recalls, you will find a world of deceit and embellished claims. For example, a label may falsely state that a product is natural or made with all-natural ingredients. Currently, there is no official U.S. government-regulated definition of what “natural ingredients” really means. This allows companies to label their product as “natural” even though it may contain more petrochemicals than plant-derived ingredients (1). Companies are called out every day for misleading consumers. Headlines such as animal ingredients found in vegan products are not uncommon (2). Another example is businesses which claim not to use GMOs, but they are found in the food or drink when it is tested (3). Hygiene, skin care, and bath product companies are no different (4). 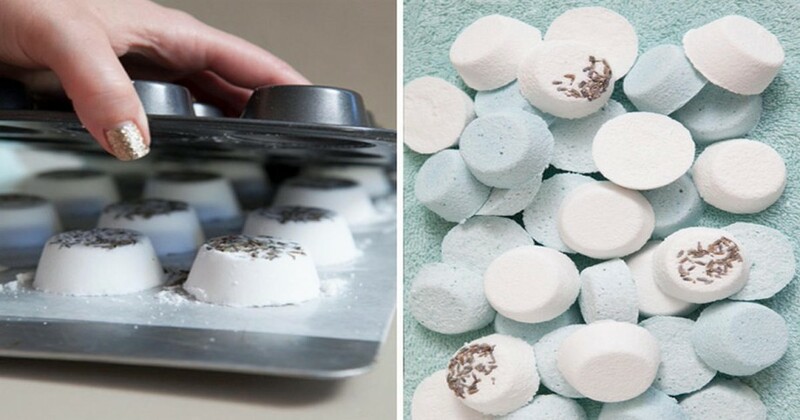 The only real way to ensure that your bath bombs are safe and natural are to make them yourself. You can even make it a family activity and let your kids’ creative juices flow. Below is a list of a few common ingredients companies use in the commercial production of bath melts. Fragrance: No one is sure what fragrance is made of except the manufacturer. It is, however, a combination of over 3,000 chemicals, including toxic and potentially carcinogenic ingredients. Alpha-Isomethyl Ionone: This chemical has been recognized by the scientific community as being one of the most common allergen in commercial personal care products (5). Red 4, Red 27, & Red 33 – Most all commercially used red dyes are considered common allergens among a high percentage of the population and they can be toxic (6,7). 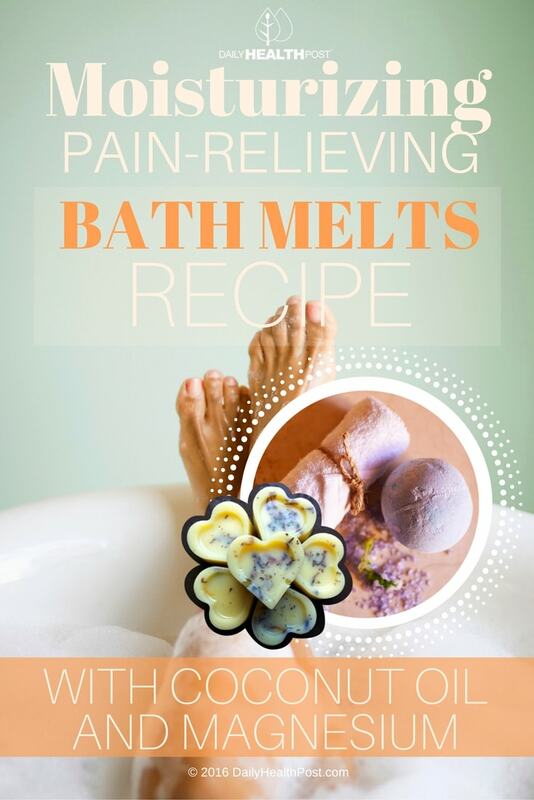 Try this safe bath melt recipe for a pain relieving, muscle-soothing soak. Whisk together coconut oil and water. Stirring constantly, slowly pour the wet ingredients into the dry combination. This will probably cause the citric acid to foam, which is normal. Once these are completely incorporated, add essential oils. Pour the mixture into lightly greased muffin tins until they are filled halfway. This will allow room for the citric acid to expand as your bombs dry. Allow your bombs to open air dry at room temperature away from heat and humidity. This should take about 24 hours. Once dry, store in an air-tight jar for future use. To use, place 1-2 under running water as your fill your bathtub. This will make your house smell wonderful as you soak. The coconut oil will nourish and moisturize your skin, the baking soda will make your skin smooth and soft and the magnesium will help relax sore muscles. Lemongrass for a both soothing and invigorating soak. Lavender alone or with a touch of orange blossom for a calming and relaxing bath. Lemon and orange are great for a rejuvenating and refreshing soak. Mint alone or with eucalyptus to soothe and relax your aching muscles.